We all have our personal favorites when it comes to choosing our designer wear. Some may agree to labels like Dior or Louis Vouitton. Others may settle for the Indian brands of Ritu Kumar or Sabyasachi Mukherjee. Well, if you ask me, I do not really have to splurge on designer labels, especially when I have an extremely creative and talented designer right at home. My mother is not someone who has a fashion school degree neither does she practice Fashion Designing as a profession. 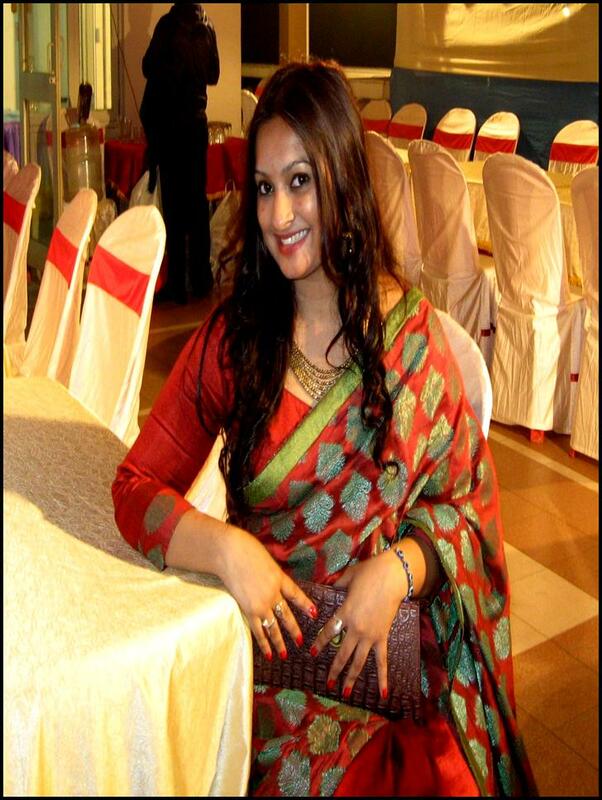 She happens to be a complete home-maker with a huge passion for stitching and fashion. Combining both, she creates pieces that totally blows me away. This saree is one of my mother’s creations. She assembled pieces of brocade and raw-silk and stitched them all together. 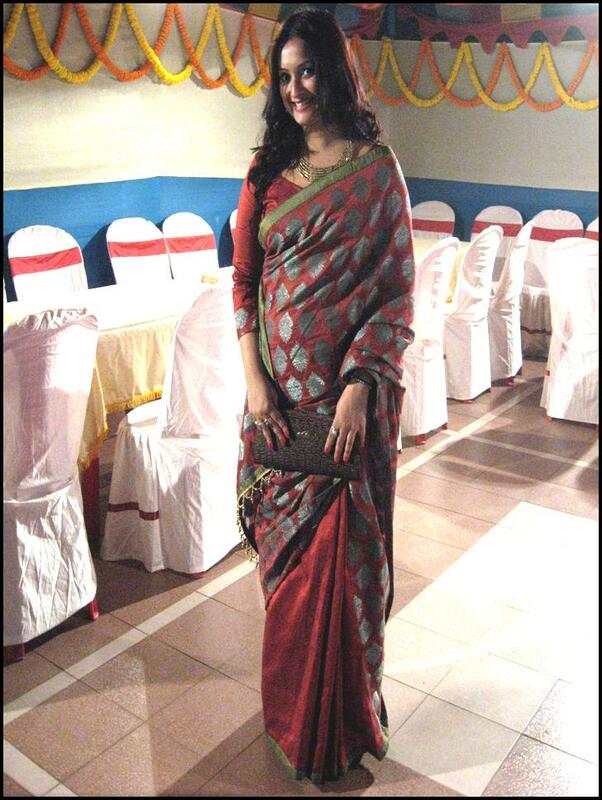 Half of the saree consists of plain red raw silk and the other half consists of red brocade with green motifs. The whole saree was bordered with green raw silk. I believe we all are creative designers deep within. All that is needed is your imagination to run wild. You have no idea what miracles may be created. at last, bt not d least ,puja, looking gorgeous seems to be an understatement..